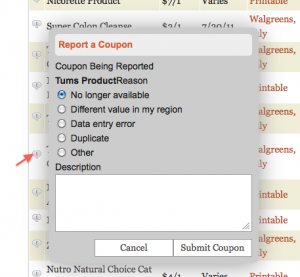 I just wanted to give you guys a heads up on a new feature on the LRWC Coupon Database. You can now report a coupon easily from the database. This feature was there before but it was not as easy as it is now. Pick the reason and add any description, if applicable.